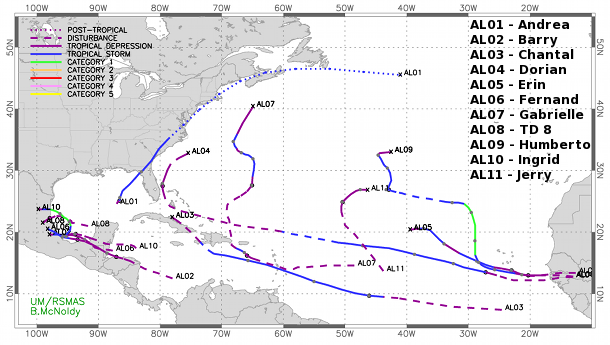 TSR lowers its December forecast to predict 12 tropical storms including five hurricanes and two intense hurricanes. What Happened to Hurricane Season? An informative article from UM researcher Brian McNoldy, published in the Washington Post, concerning why this year’s “active” hurricane season is actually below average. Very early Wednesday morning, Humberto strengthened to become the first hurricane of the 2013 Atlantic Hurricane season. Editorial from The Nassau Guardian suggests The Bahamas implement measures to mitigate and perhaps prevent future destruction of the coastlines by implementing recommendations from expert coastal engineers. Tropical Storm Isaac formed in the Atlantic on Tuesday and was heading directly towards the Eastern Caribbean at 17 mph. On Tuesday June 12, 2012 the U.S. Embassy will hold a Town Hall Meeting for American citizens residing in The Bahamas to provide an overview of the absentee voting process and hurricane preparation tips. The 26th annual Governor’s Hurricane Conference, which drew about 1,750 people, featured dozens of training sessions focused on the latest developments in an array of disaster issues.